1. 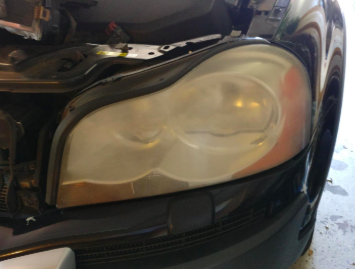 Revive your ghosted-over headlights with a headlight restoration kit so you won't have to shell out $100 at the local shop to pass inspection. 2. 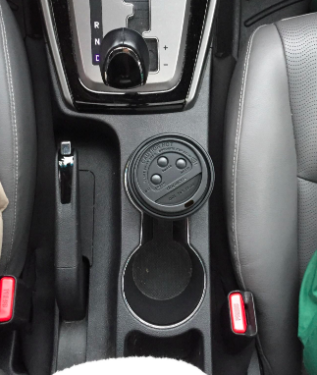 Corral the jingling change in your car door pocket into a spring-loaded coin holder that'll fit nicely into a cup holder and help you make speedier money moves in the drive-thru. 3. 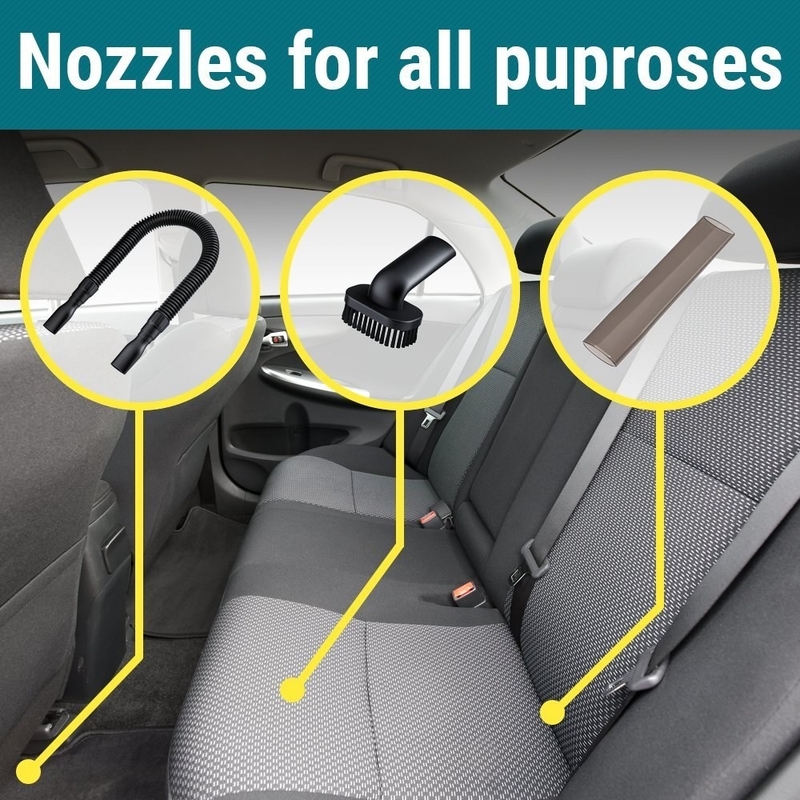 FINALLY get all the pet hair off your back seat and floors with this ugly but effective tool you'll wonder how you lived without up until now. 4. 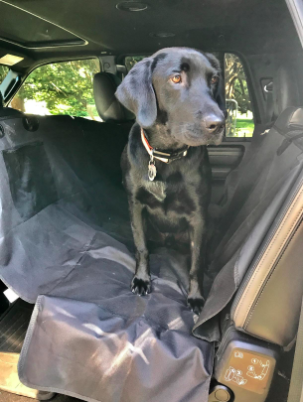 And keep a pet protector made to fit over your backseat in your trunk so you won't have to go hunting for it in your garage next time Fido rides with you for errands. My parents have one for our shed-happy family dog Hank and they're never going back. BTW, this one has a universal fit! 5. Ward off lost phones, French fries, change, and more with some low-key seat gap fillers you may have eyed on Shark Tank and wished you'd invented them yourself. Promising review: "Never drop and lose your stuff again! I purchased these over six months ago and ended up buying another because of how convenient and safe it is. The stitching and quality for the seat filler is great with no loose fibers. 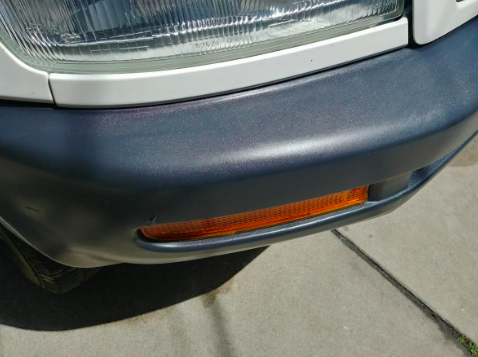 This was used in a 2000 Honda Accord as well as a 2016 RAV4. I really believe this will fit a majority of cars, see images for reference. Having it between the seats has saved me on many occasions. You don't even notice it there until you drop something, say oh ****, but feel relieved that it stops right on top of the gap filler. Even my friends don't notice it until they drop something into the abyss." —Long-Term Product Reviews by Hugh&Co. 6. Bring some order to your glove box with a straightforward organizer that'll put your important documents front and center in the event of an emergency and someone who's not you needs to get to your deets. 7. 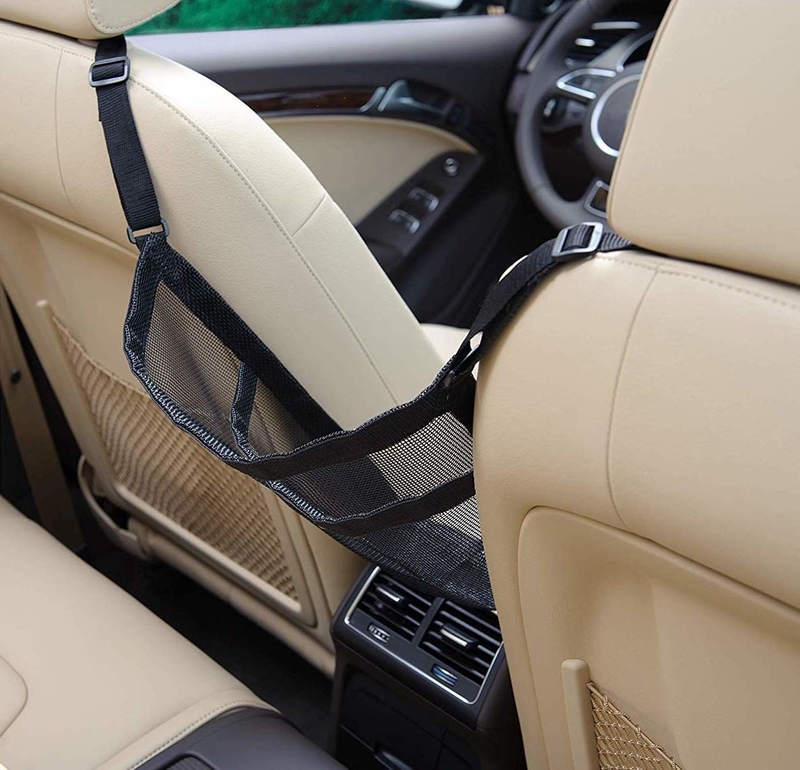 Stretch a sling-like purse holder between your front two seats to keep all your essentials within reach and upright, even when traffic forces you to break in a split second. 8. And universal purse holder hooks in case you rarely travel with just one bag or often find yourself putting your groceries in the back seat. Get two from Amazon for $7.95 (available in beige and black). 9. 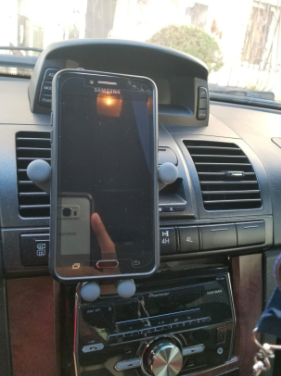 Install an adorable phone holder with an embrace wide enough to fit most phones because nothing looks as bad as unsafe driving [insert guilt-inducing mom stare]. Get it from Amazon for $9.99+ (available in five styles). 10. 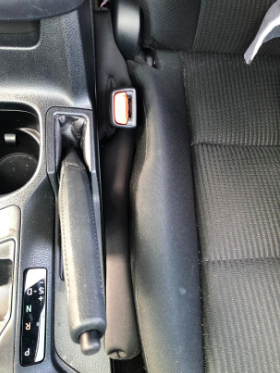 Detail vents and other hard-to-clean areas of your car with some gooey cleaning compound that feels like a child's plaything but WOW does it work. You can also use it on surfaces like keyboards, speakers, screens, cameras, etc. JUST NOTE that you should use it to press to clean. Don't leave it on a surface and walk away because gravity will let it sink into grooves and make a mess. 11. And give your vents special attention with some smol blind dusters with washable cloths to really get in there. Get it from Amazon for $7.99 (includes five removable microfiber sleeves). 12. Tidy up your vehicle without displaying its contents to the world thank to a lidded trunk organizer you'll be able to put SO MUCH into. Get it from Amazon for $32.99 (available in gray and black). 13. 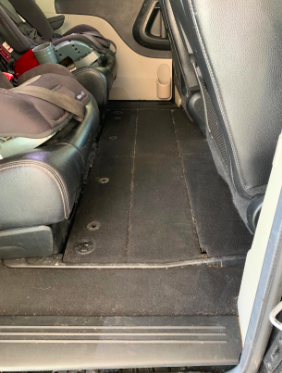 Throw smaller miscellaneous stuff into a handy seat organizer you can easily move from seat to floor to backseat to backseat floor — all sorts of places! The bottom is no-slip and has grippy feet to help prevent tip over during short breaks. Get it from Amazon for $11.97+ (available in two sizes). 14. Or opt for a cup holder–sized organizer in case you need to invent some storage space out of thin air. It's non-slip AND features a slot for power cords on the far-left compartment so you can charge electronics. Get it from Amazon for $7.94+ (available in two sizes). 15. And if you're a smoker (or drive around a smoker), this cup holder ashtray will look so much nicer than stray butts or repurposed soda cans. 16. Tackle odors (smoke or otherwise) with a bamboo charcoal air purifier you can toss in your car and forget about it. You just have to place the bag in the sun (like say, on top of your car?!) once a month to ~refresh~ its odor-neutralizing powers for up to two years. 17. But if you have an olfactory disaster on your hands (like say, a dead mouse?! ), spray some air sanitizer even funeral directors recommend. OK, when you spray it you may want to vacate your car because it's strong! But it works! Get it from Amazon for $6.34. Also check out the gel version. 18. 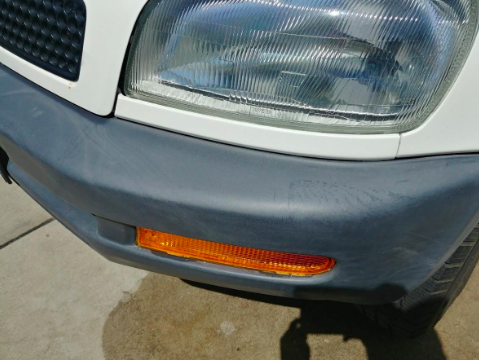 Freshen up your car surfaces with some UV protectant spray ready to give your 11-year-old model a facelift. 19. 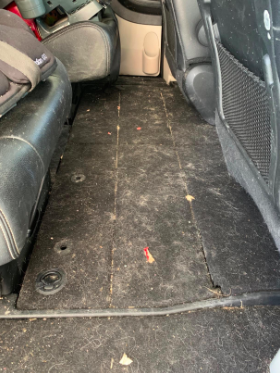 Maintain your floor with some trim-able floor mats built to stand up to the elements because you're not going to wipe off your drenched shoes before you duck into your car during a downpour. AND if you're wondering "But will it fit my car?" Amazon has a Check Fit option for this product where you can enter your vehicle's year, make, and model to help you find the perfect fit. Oh, and they're trim-able! Get it from Amazon for $15.15+ (available in five styles). 20. And guard the back of your seats with protective kick mats because no matter how many times you say "Stop kicking!" your kids keep on doing it like it's their job. Get two from Amazon for $17.97. 21. 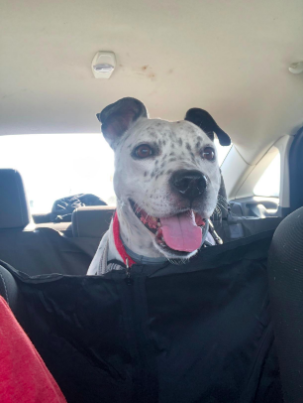 But if your kids are old enough to need all their essentials back there with them, store stuff like toys and snacks in some storage-filled seat guards can do the trick. Get two from Amazon for $21.99. 22. Train everyone in your crew to use this great new waterproof trash can instead of the floor for containing the mess. You can hang it from stuff or just set it on the floor. AND you can use a shopping bag to line it! Get it from Amazon for $9.59+ (also available in a larger size with a lid). 23. 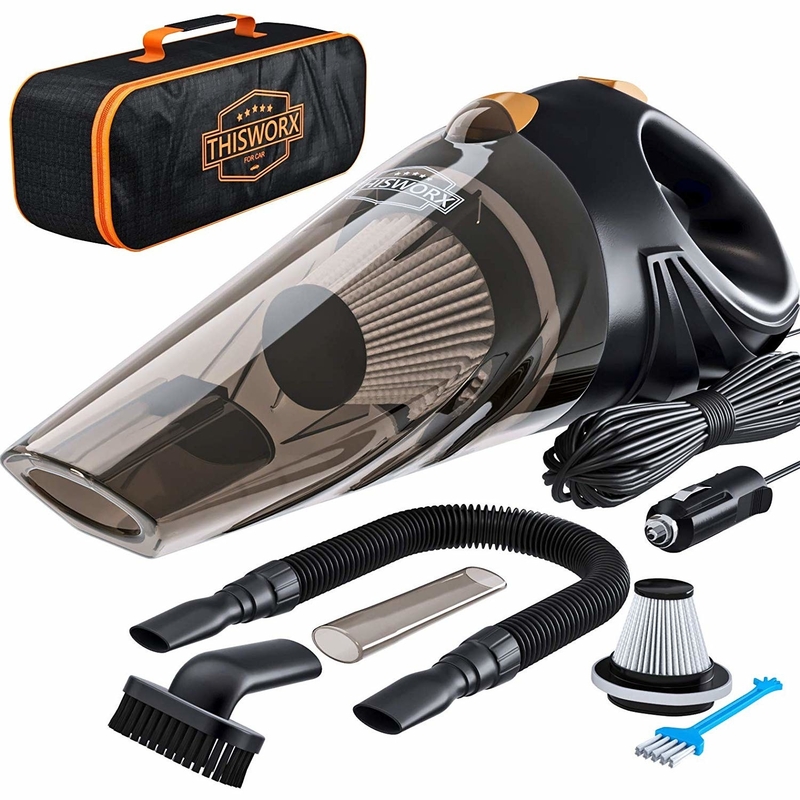 Throw a dedicated wet/dry vacuum (that plugs into the cigarette lighter!) in your trunk because who has the time to go by the car wash and feed quarters into the vacuum?! Has a 106w motor, strong metal turbine, 16-foot cord, elastic hose, nozzle, and a clear trash compartment so you can see when it's time to empty it. 24. Clean off the road dust (and so much more) with a powerful tire cleaner that'll work on all sorts of wheels. Get it from Amazon for $16.97+ (available in two sizes). 25. Create a streak-free shine with a foaming glass cleaner because the windshield is the window to your car's soul. But really. Promising review: "I almost never make it through a car wash, though my windshield picks up enough dust that the occasional rain doesn't necessarily clean it up. 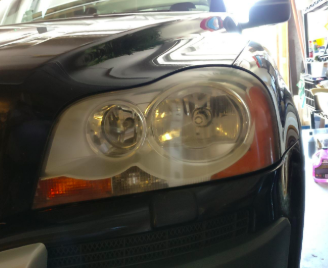 I picked up a can of Invisible Glass after seeing lots and lots of comments from car buffs who swear by it, and I have to say they were right! 26. Wipe down your car with some gentle microfiber cloths whether you're doing an at-home wash or never seem to get a thorough dry in a drive-thru wash.
WAY gentler than paper towels. Just sayin'! Promising review: "Really thick cleaning cloths! To describe these things as towels would be more accurate. Amazon has definitely contracted a great product and one that I would certainly use over and over again. I keep a few in the cars to give the cars 'a-once-over' after going through the carwash. 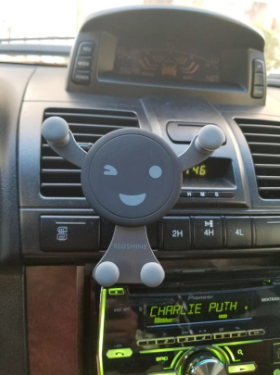 Very absorbent and just the right amount of 'tacky' to the touch which makes it great for a dashboard duster." —Dell A. Get three from Amazon for $4.79. 27. If all else fails, give your car interior a decent wipe-down with some auto wipes because they'll make a surprising difference for such a low level of effort. Get them from Amazon for $19.49. Now that your car's tidy, you can concentrate on other things.